Finding the best muzzleloader scope may be a difficult thing. That’s because there are so many available and it’s hard to know which one is best. Of course, that comes down to your personal preferences and even a feature or two that makes it stand out above the rest of them. We will be looking at five different muzzleloader scopes that are considered the best on the market. One of them may be your next tool of choice. Or not. Either way, they are all worth a look. 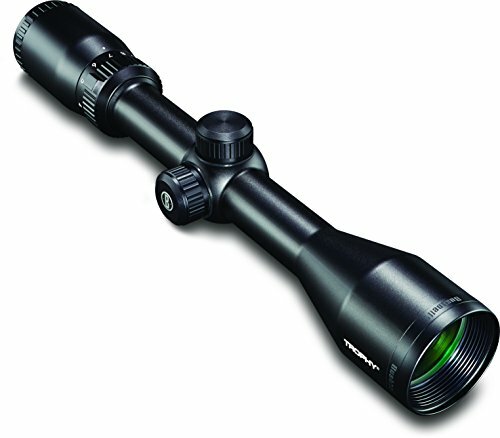 Do Muzzleloaders Need A Special Scope? The short answer: Yes. But even some muzzleloader owners have gotten away with mounting a regular rifle scope. Just because it's working for some people, doesn't mean it will work for the rest of the world. One of the main advantages of having a scope is that you can still be able to get a good accurate shot, even at a distance like 250 or 300 yards. A rifle scope may be able to get you a long-range shot, but the question to ask is, why rely on a muzzleloader for long distance shots? That might be considered overkill. Of course, one of the other advantages of having a muzzleloader scope is that depending on your jurisdiction, you’re taking part in a hunting period that is open to muzzleloader hunters only. There is no greater satisfaction than getting a scope for your muzzleloader and being able to get your bag limit while everyone else has to wait. Magnification is a must if you want to zero in on your target as quick as possible. Most scopes range at about 3x to 9x in magnification. Your higher end products will typically have a maximum magnification level of 12x. Any magnification over 9x would be a little much. The recoil of a muzzleloader is quite strong. So you're going to need a device that is going to give you a good amount of eye relief. At a minimum, find one with an eye relief of three inches. Ideal eye relief is anywhere between four inches and five inches. The magnification should compensate for any distance that is lost due to eye relief. This is best known as your crosshairs. This is a part of the scope that's been the most reliable for as long as anyone can remember. Your father relied on it. So did your grandfather. And maybe your great grandfather. It has been around for a long time. Over the years, the technology of scopes has changed. Today, you'll have far better options at your disposal regarding the type of reticle you want to use. Some manufacturers can custom design reticles to ensure better accuracy. The following are the five best muzzleloader scopes currently available on the market. Please carefully review each of them before making a decision on which one may be best for you. While one product may be ideal for one user, it may not be exactly right for everyone and every use. When it comes to optics, nobody does it better than Nikon. And not only will you get the best optics, but it's also actually built to be really durable. This product is crafted with aircraft-grade aluminum, so it is guaranteed to be the most durable out there. The more durable the scope, the more recoil it can sustain. The fully multi-coated optical system provides you with a clear, bright shot no matter what the light conditions are. 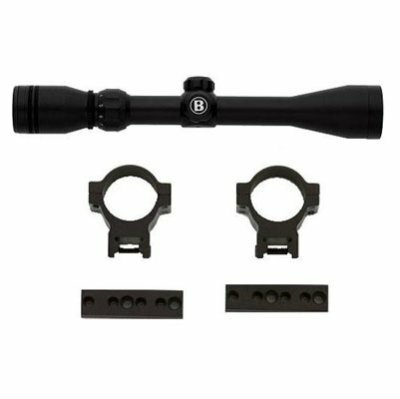 The BDC 300 reticle is specifically made for .50 caliber muzzleloaders. It uses a 150-grain Pyrodex charge (pellets or powder) and a 250-grain bullet. 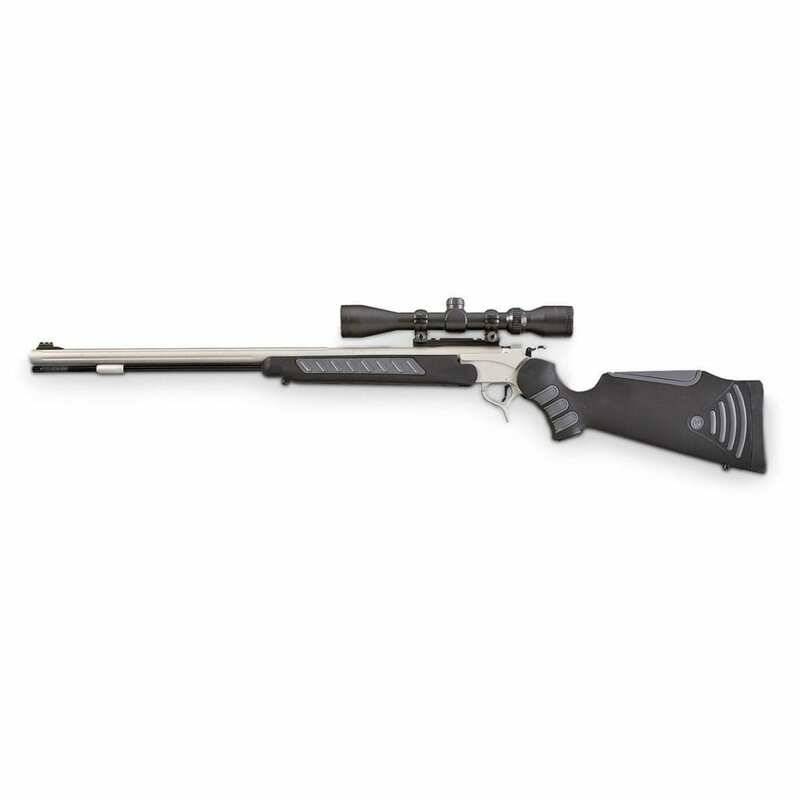 This allows the shooter effectively and accurately shoot out as far as 300 yards. It also comes equipped with spring-loaded, instant-zero reset turrets that can be easily reset to zero after the rifle is sighted in. The eye relief for the Nikon Prostaff is very generous and very consistent. You can still get a good clear shot without getting too close to the scope itself. It is no surprise why this is considered the best overall. With perfect, clear optics and a rugged ability to withstand recoil, the Nikon Prostaff proves itself to be a muzzleloader scope that can stand the test of time and longtime usage. If you want one that will last you a long while, the Nikon might be your best bet. Our next scope in our review is also a Nikon. This item also features Nikon's patented BDC reticle. The reticle will give you the same effective, accurate shot with your muzzleloader up to approximately 300 yards. For maximum brightness and light transmission, the lenses are multi-coated so you get a clear, no-glare view. On top of that, you will able to draw in maximum light regardless of the lighting conditions. Even when it's dawn or dusk, you can still be able to see well looking through it. This product also provides five inches of generous eye relief, so you will still be able to get a clear, accurate shot without looking too closely into the scope. You can easily make adjustments with spring-loaded, instant zero-reset turrets. Once you have your scope sighted-in properly, you can easily reset it and forget it. For an inline muzzleloader, the Nikon XR might be the best choice for you. Nikon has always been reliable with their optics. So it’s surprising to see people complain about the field of view. Don’t let the bad reviews always influence your decision. There is still some good that far outweighs the bad with this device. But if you hate the idea of having to close one eye as a way to quickly acquire your target, this product may be right for you. You can pay good money for an excellent scope or you can spend a little less on one that can perform as well or better than expected. The Leupold lives up to its value for the price. Leupold is best known for its durable scopes. They are so confident that they come with a lifetime warranty should anything happen to it. This product is crafted from aircraft quality aluminum so it can withstand a lot of shock and recoil. It is ready for any condition nature can throw at it. That's because it is completely waterproof and fog proof. So you still get a good clear field of vision rain or shine. 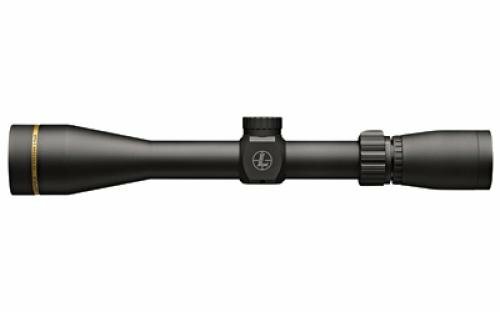 The Leupold also comes with a twilight management system that ensures excellent visibility, even in low light conditions. It even comes with Leupold’s patented 3:1 zoom ratio. In just one turn of the wheel, you can go from observation and target acquisition to a precise long-range aim. You can make adjustments for windage and elevation to compensate for wind and bullet drop, no matter what the weather is like or the distance of your target. Leupold has always remained a reliable brand name for its scopes. And it's for all the right reasons. 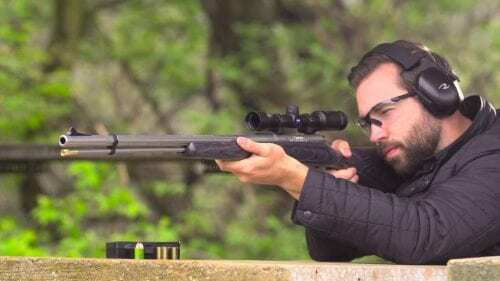 Instead of mounting a good old-fashioned rifle scope that will get damaged after about 50 rounds, you need one that will not only last you a very long time, but will also withstand any condition nature can offer. If that's one of the things you look for in a scope, then consider the Leupold as a must-have. The last two scopes are less than ideal for those on a tight budget. If you're looking for a good quality product, but want to spend less than $100, this kit may be exactly what you need. The kit comes with gorilla mounts that will fit perfectly with most muzzleloaders. This item itself is easy to install. Even though scopes that come cheap usually get a bad rap, the features are quite decent. The lenses are fully coated to ensure that you get the best clear field of view possible. It is fog proof and waterproof, making it tough enough to withstand most weather conditions and still give you a reliable performance. The click adjustments are ¼” at 100 yards and can be easy to tune for better performance. For its price, the Thompson Center scope is quite decent all around. It will fit on most muzzleloaders and still gives superior protection against the elements like most of the products in this review. 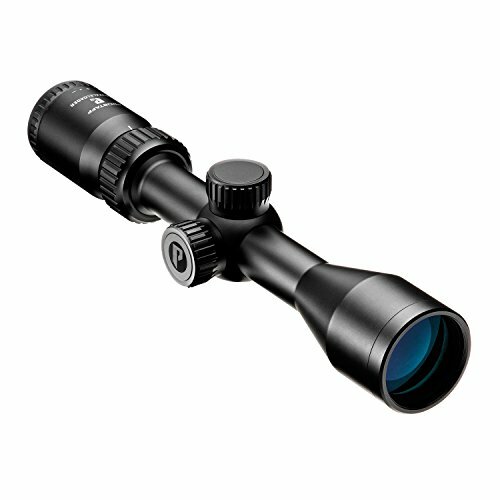 Surprisingly, it's probably the best scope you can find at a price that you can afford. Remember that quality always matters when it comes to getting a scope on the cheap. For our last scope, this one is for anyone who is still on a budget but has a little more breathing room to work with. If you want to spend north of $100 and just south of $200, then consider the Bushnell Trophy Muzzle Loader Scope. Bushnell has always been a reliable brand among hunters. It comes with an objective of 40mm and has magnification levels from 3x to 9x. This device is built to be shockproof, so it can withstand a great deal of recoil for as long as it can be used. It is also waterproof and fog proof, so you can use it in inclement weather. Of course, a scope cannot have a good clear field of view without fully multi-coated lenses. 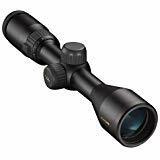 It’s no surprise that a Bushnell shows up on the list as one of the best scopes available. This might be the one you’re looking for if you look beyond the price. If you want a good product that gives you great target acquisition and an accurate shot from a good distance, count on the Bushnell to get the job done. Getting a scope for a muzzleloader comes down to what you’re looking for. One of these five might be your best choice. It all comes down to your own personal needs. One or two major features may stand out and will likely be a scope you won’t mind paying extra for. Even on a budget, it is possible to find a muzzleloader scope that you can be happy with for a long time.